Digital design refers to creating digital circuits. Digital circuits are in basically everything today and range from something as simple as a circuit that turns an LED on when a button is pressed to the complex processor in the device you are reading this on. Traditionally, these circuits are built by making ASICs (Application Specific Integrated Circuits) out of silicon wafers. This process is incredibly expensive and complex. FPGAs, or Field Programmable Gate Arrays, are a way to create digital circuits without these barriers. FPGAs are part of a class of devices known as programmable hardware. 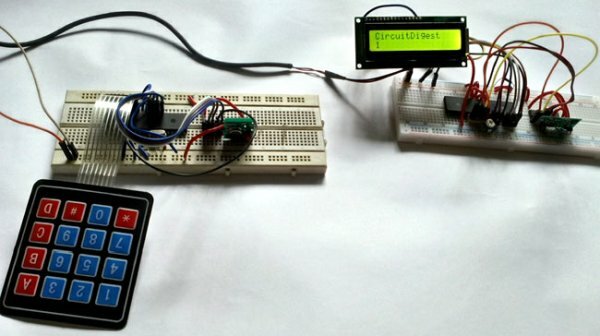 This means that you can design a digital circuit and program the FPGA to become that circuit. You can reconfigure the FPGA as many times as you want allowing you to create circuit after circuit without having to physically change a thing! The Alchitry Au is the workhorse of the two boards. 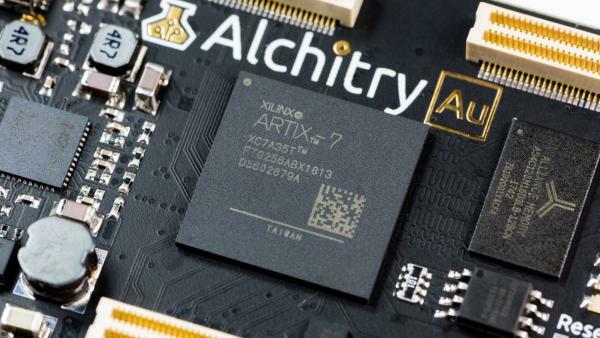 It features an Artix 7 FPGA which means no more dealing with Xilinx’s antiquated ISE tool. This board also has 256MB of DDR3 RAM while still having 102 IO pins available for your projects!